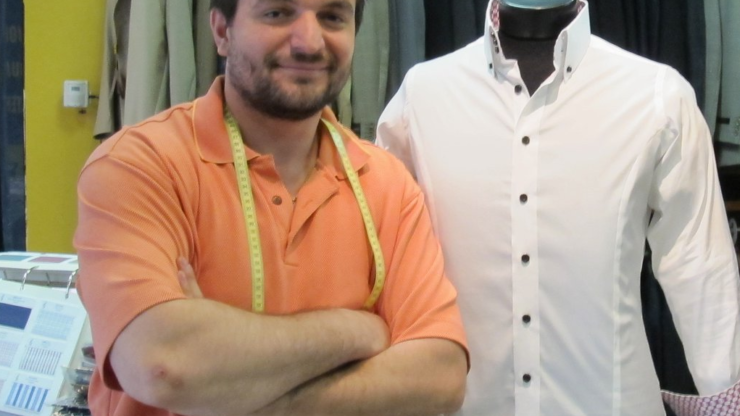 With over 25 years of experience, Zim is one of the top tailors in the northwest suburbs. Carrying on the family tradition, Zim began learning the art of tailoring from his father, Jimmy, starting at 12 years old. By 18, Zim began working as a professional tailor at Jimmy’s Tailor Shop. After mastering his craft, Zim and Jimmy opened the first Tailor, Needle & Thread in Woodfield Mall. Starting as a small storefront, Zim’s skill and background helped to grow Tailor, Needle & Thread into one of the premier custom tailors and clothiers in the area. Taking pride in his work, Zim’s favorite thing about being a tailor is seeing the look of satisfaction on a customer’s face when they put on something that was altered and having it fit perfectly. When not working, Zim enjoys spending time with his wife and 3 kids, and you can usually see him early mornings playing golf.